CHRISTMAS LINERS 2015: AJ, Billy, Bros O, Canaan, Clare, Darius, David, Dierks, Easton, Church, Paslay, Gary, Strait, Pardi, Josh, Keith, Kelleigh, Kip, Lady A, Lauren, LBT, Luke, Sam, Scotty, Toby and more! 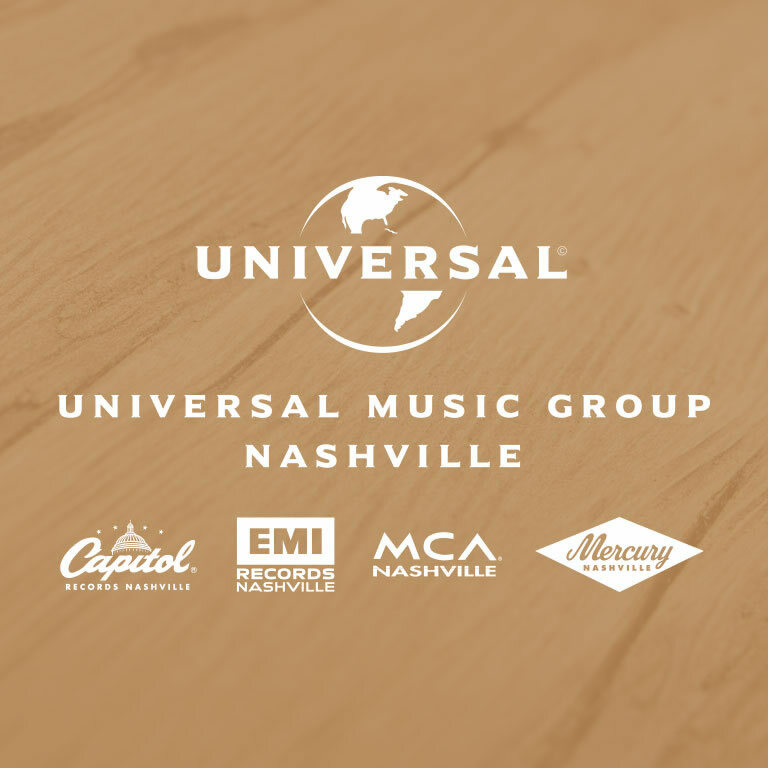 Holiday liners from UMG Nashville artists, including Alan Jackson, Billy Currington, Brothers Osborne, Canaan Smith, Clare Dunn, Darius Rucker, David Nail, Dierks Bentley, Easton Corbin, Eric Church, Eric Paslay, Gary Allan, George Strait, Jon Pardi, Josh Turner, Keith Urban, Kelleigh Bannen, Kip Moore, Lady Antebellum, Lauren Alaina, Little Big Town, Luke Bryan, Mickey, Sam Hunt, Scotty McCreery and more! “Hey! This is Dierks Bentley, wishing you a very Merry Christmas. Hi! This is Shania Twain, wishing you a very Merry Christmas. 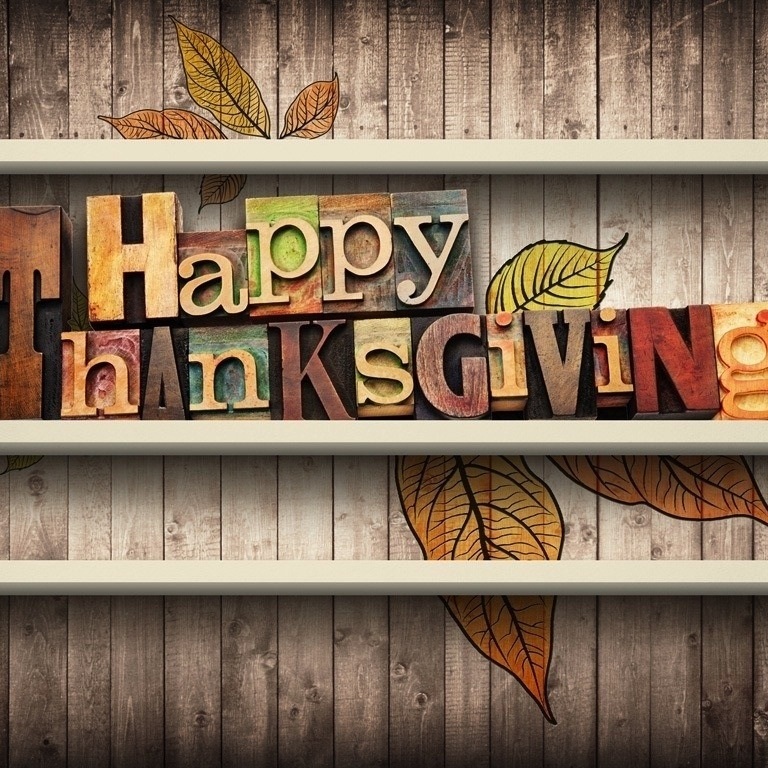 Thanksgiving Day is Thursday, November 26th, and most people will be enjoying time with their friends and families, including some of your favorite country stars, such as Alan Jackson, Brothers Osborne, Canaan Smith, Clare Dunn, Darius Rucker, David Nail, Dierks Bentley, Easton Corbin, Eric Church, Eric Paslay, Josh Turner, Kip Moore, Lady Antebellum, Little Big Town, Mickey Guyton, Sam Hunt, Scotty McCreery and more. They share their thoughts, memories and favorite Thanksgiving dishes. Audio / Clare Dunn reveals her favorite Thanksgiving side dish. Audio / Easton Corbin explains what he’s thankful for this year. Audio / Eric Paslay loves him some turkey for Thanksgiving. Audio / Lady Antebellum’s Charles Kelley talks about the annual eating contest he and his two brothers – Josh and John -- have over the Thanksgiving holiday. Audio / Lady Antebellum’s Hillary Scott describes her favorite Thanksgiving dish. Audio / Scotty McCreery talks about what he’s most thankful for this year. Audio / David Nail says he's most thankful this year for the impending birth of twins. Audio / David Nail usually goes back home to Missouri for Thanksgiving, but this year, since his wife Catherine is due to give birth to twins any day now, they’ll stay home in Tennessee. Audio / Canaan Smith says his favorite Thanksgiving dish is pumpkin pie. 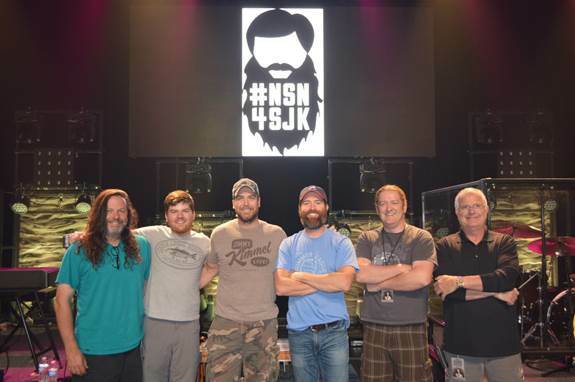 MCA Nashville’s Josh Turner was recently announced as this year’s Chairman of the Beard for the annual “No Shave November” campaign to raise awareness and funding for St. Jude Children’s Research Hospital. In addition to music industry participants, country radio and fans nationwide, Turner has recruited his band and crew to his team, The Backwoods Boys. However, there is still time to join Turner and The Backwoods Boys before the official “No Shave November” kickoff this Sunday, Nov. 1. With a $30 donation, good-hearted, clean-shaven individuals can register to enter the challenge. It begins with a date-stamped “before” picture posted on the event Facebook page, and ends with a wild and wooly “after” shot. The month-long event concludes at the annual Beard Bash in Nashville – prizes are awarded and a St. Jude “No Shave November” Champion is crowned. What began as a light-hearted wager is now an annual event and valuable fundraiser for St. Jude Children’s Research Hospital, the first and only national cancer center devoted solely to children and one of the world’s premier research and treatment centers for childhood cancer. In only three years, “No Shave November” has resulted in over $500,000 for the patients of St. Jude. This year’s goal for the non-profit is $200,000. Join Turner and The Backwoods Boys team HERE. Kip Moore, Kacey Musgraves, Brett Eldredge, Thomas Rhett, Chris Young, Kelsea Ballerini and Carrie Underwood, among others, are set to perform on Jimmy Kimmel Live, as part of the road to the CMA Awards. The 49th Annual CMA Awards will be broadcast live from Nashville’s Bridgestone Arena November 4th at 8pm ET on ABC. 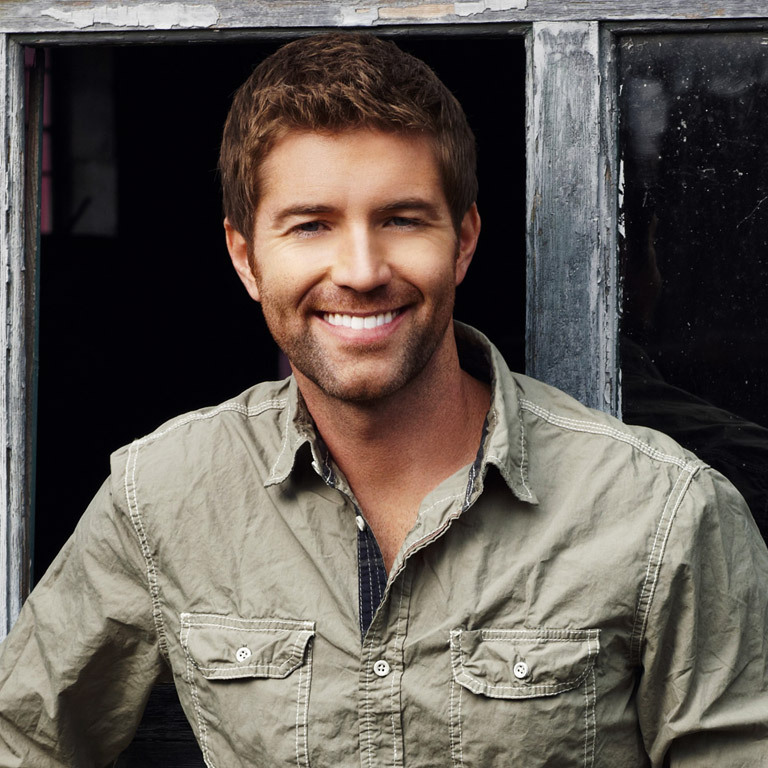 Josh Turner has been named the 2015 Chairman of the Beard for No Shave November, an initiative in Music City to help raise funds and awareness for St. Jude Children’s Research Hospital. So far, the beard-growing campaign has raised nearly a quarter of a million dollars during its four years. Sam Hunt has been named one of Men’s Fitness magazine’s Game Changers of 2015. He talks about how playing and creating music during his college years at the University of Alabama Birmingham transformed him and “brought a lot of balance into my life.” Vin Diesel, Oliver Hudson, Matt Bomer, Calvin Harris and Michael B. Jordan are also on the list. Darius Rucker is set to perform during NBC’s Today Show Summer Concert Series on Friday (August 28th). Lady Antebellum will take over CMT this weekend, starting with CMT Hot 20 Countdown on Saturday (August 29th) at 9am ET. Cameras caught the trio at Virginia Beach on their Wheels Up 2015 Tour with opening acts Sam Hunt and Hunter Hayes. Then at 12pm ET, CMT will premiere the band’s third live DVD release. The full-length program will be available on DVD and blu-ray, with a deluxe version at Walmart, November 13th. Kacey Musgraves and Josh Turner have been added to the list of performers at the 9th Annual ACM Honors at Nashville’s Ryman Auditorium on Tuesday (September 1st). Luke Bryan and Lady Antebellum will be among the famous faces honoring Lionel Richie as the 2016 MusiCares Person of the Year on February 13th in Los Angeles, prior to the Grammy Awards later that week. Jon Pardi took to his Twitter to announce the newest addition to his family, Augustus. 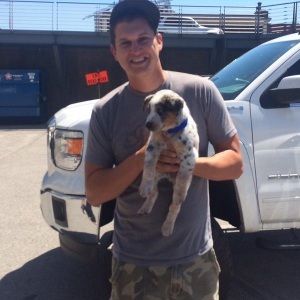 The pup, otherwise known as “Gus,” joins Jon’s other dog, “Cowboy.” The two dogs are actually related — Gus is Cowboy’s nephew. 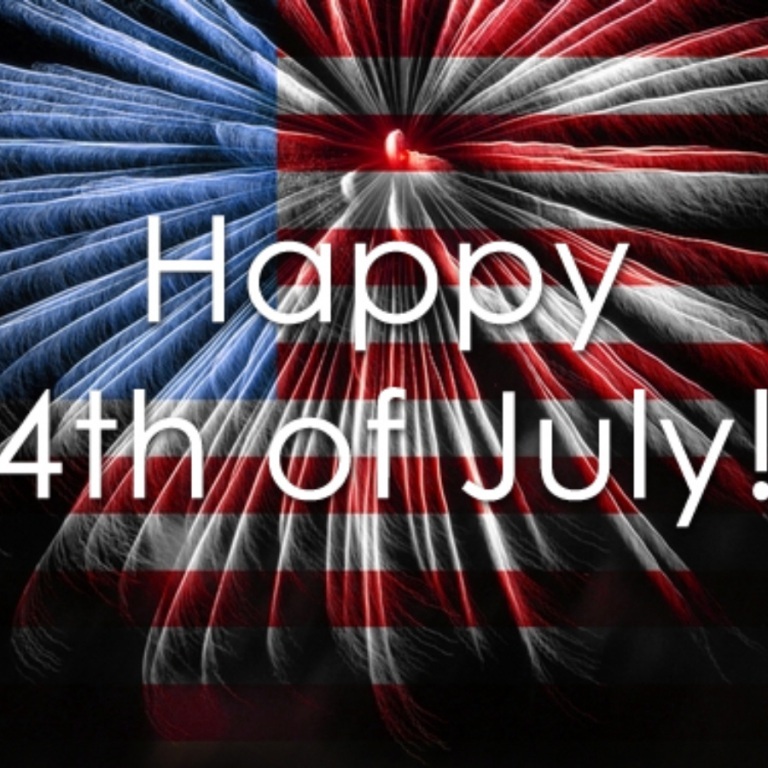 Independence Day, commonly known as the Fourth of July, is a federal holiday commemorating the adoption of the Declaration of Independence on July 4th, 1776, declaring independence from Great Britain. The holiday is commonly associated with fireworks displays, parades, barbecues and concerts. Some of your favorite country stars take time to remember their Fourth of July traditions, memories and what the holiday really means to them. 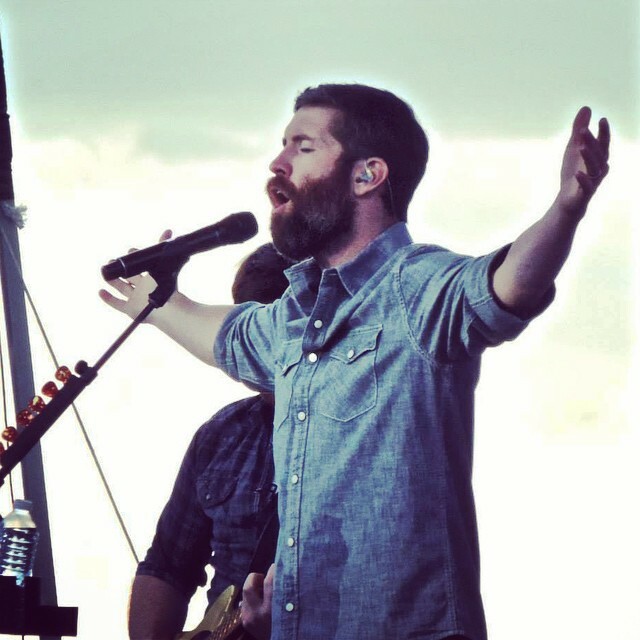 JOSH TURNER HELPS A FATHER REALIZE HIS DREAM ON THE TODAY SHOW. To help a father — Lewis Lusk — celebrate Father’s Day, NBC’s TODAY Show surprised him with the gift of recording his own original track at the iconic Sun Studio in Memphis, Tennessee. And Lusk got a little help from a new friend: country singer Josh Turner. 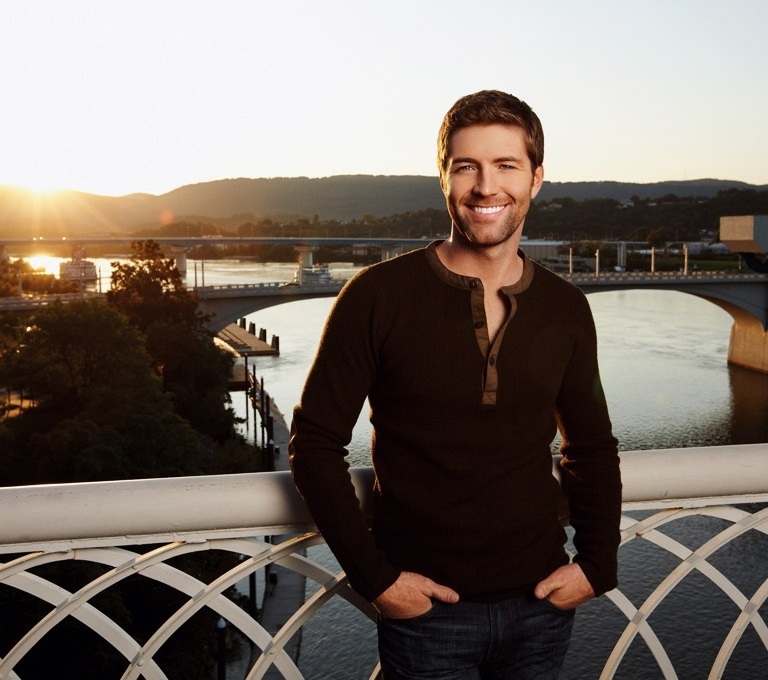 NASHVILLE, Tenn. (June 18, 2015) – Country superstar Josh Turner teamed up with NBC’s TODAY Show for a very special Father’s Day “Make Your TODAY.” Turner and the TODAY Show set the scene for Tennessee native Lewis Lusk at the famed SUN Studio in Memphis. Lusk had early dreams of being a country singer, but as life took a different path and he became a single parent and an adoring father of two young boys, he put his family first and his musical aspirations aside. Lusk’s now grown sons turned to the TODAY Show’s Al Roker to help make their father’s dream come true. After successfully luring Lusk to SUN Studio, where legends like Elvis Presley, Jerry Lee Lewis and Johnny Cash recorded some of their biggest hits, Lusk learned he was going to record his very own original song, “Sally & Jack,” with guidance from his new friend, the multi-Platinum-selling Grand Ole Opry member, Josh Turner. Video / Josh Turner Today Show for Father's Day. 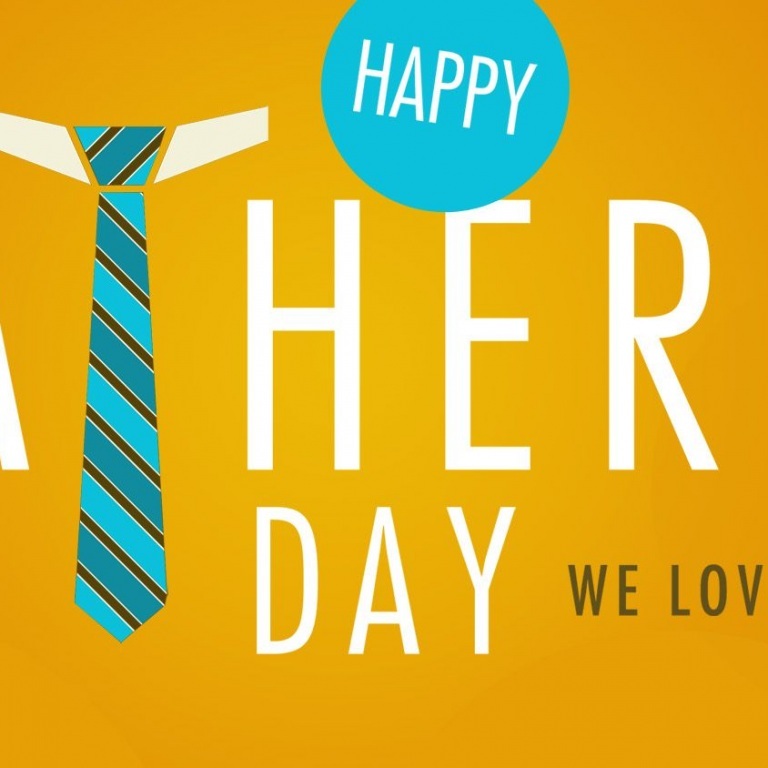 Father’s Day is Sunday (June 21st), and we have liners with many of your favorite country stars! See and download below. It’s that time again! The CMA Music Festival begins this week in Nashville, and the stars are ready to come out to perform and check in with their fans! 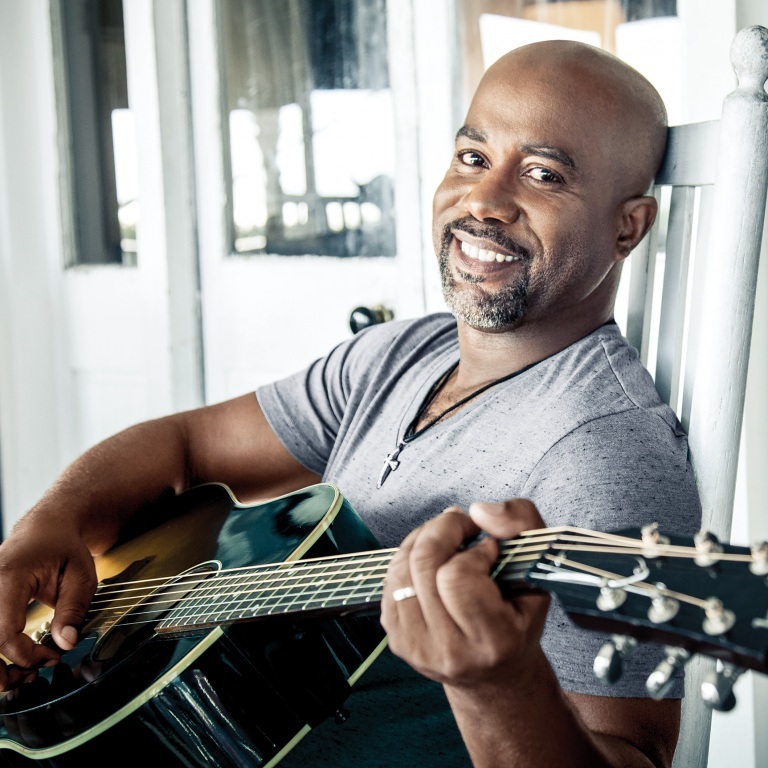 Audio / Darius Rucker is making a couple of appearances during this year’s CMA Music Festival. On Monday (June 8th), he hosts his 6th annual Darius and Friends concert at Nashville’s Wildhorse Saloon and his golf tournament. Proceeds will benefit St. Jude Children’s Research Hospital. Darius is also set to perform at LP Field (home of the Tennessee Titans) on Sunday, June 14th where he will entertain the crowd with his list of hits. Audio / Dierks Bentley talks about the lengths that fans will go to show their appreciation. Audio / Easton Corbin says his fans are very important to him. Audio / Eric Church, who’s performing at LP Field (home of the Tennessee Titans) on Sunday (June 14th), says CMA Music Festival is special and unique to country music. Audio / Eric Paslay recalls the first autograph he ever received. Audio / Josh Turner recalls one of the weirdest things he’s ever had to sign from one of his fans. Audio / Keith Urban, who is performing Sunday night (June 14th) at LP Field (home of the Tennessee Titans), says he loves attending CMA Music Festival. Audio / Lady Antebellum, who are scheduled to perform at LP Field on Friday (June 12th) in front of a sold-out crowd, talk about performing on the big stage during CMA Music Fest. Audio / Lady Antebellum’s Hillary Scott talks about her early Fan Fair (now CMA Music Festival) memories. Audio / Little Big Town recall their first appearance at Fan Fair (aka CMA Music Festival). The group will be making several appearances, including their performance at LP Field on Saturday (June 13th). Audio / Luke Bryan, who performs at Nashville’s LP Field on Friday (June 12th), explains the name of his fan club. Audio / Scotty McCreery talks about his fans. Hey everyone, this is Eric Church hoping you have a wonderful Memorial Day weekend.